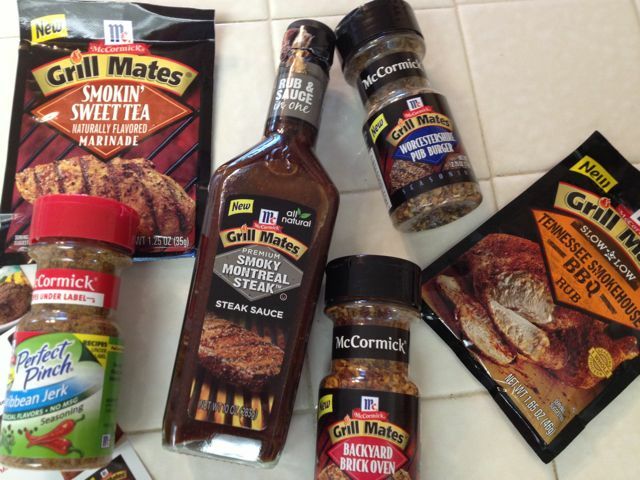 My #GrillMatesPack from Chatterbox and McCormick | Frankly, My Dear . . .
Have you ever heard of House Party? It’s a social network website where companies choose applicants to showcase their product. Typically, if chosen to participate, you agree to invite at least 12 people to your shindig and promote the whazoo out of it before, during and after. Tweet, post, link, like, comment and share. Post videos. Tweet photos. Pin party ideas. Whichever product you’re chosen for, you also agree to host your party on a specific day. That’s right. It’s like a national block party with 1,000 gatherings taking place at the same time. How fun is that, right? At least it sounds like fun. I’ve yet to be chosen to host a House Party. But I have been chosen to participate with their smaller program, Chatterbox: the selected participants need only enjoy the product then do some social sharing. No party participation required. As you can guess by this post title, I was recently chosen to be a Chatterbox for McCormick’s Grill Mates. 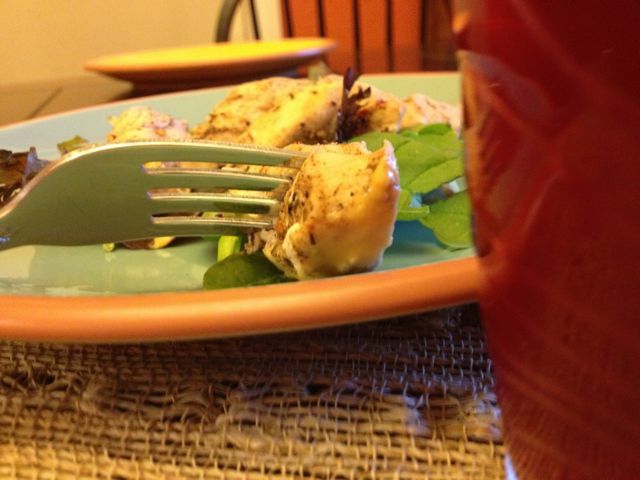 Six products, a sampling of recipes, and some helpful hints on how to share. Which means this week, I spent a couple evenings in the kitchen coming up with some delicious ways to spice up dinner at Bedford Manor. As you may know, Dot started work last week. Coupled with her college schedule, and our meal schedule is more hit-or-miss than it used to be. The #GrillMatesPack couldn’t have come at a better time. I made it my goal to cook food that would nourish us while we spent our Quality Family Time at the table. I also wanted leftovers that would give us a hearty lunch the next day. The first recipe was simple and delicious. 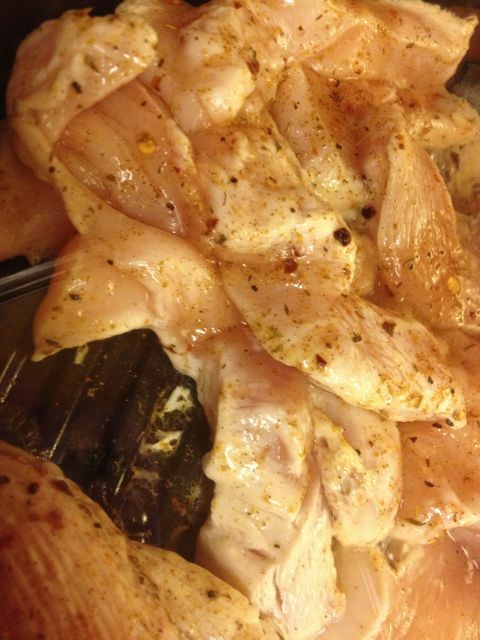 I sprinkled the Perfect Pinch Caribbean Jerk seasonings over chicken strips before cooking. Just look at those abundant seasonings! Served atop a green salad with a side of Thousand Island dressing, and this meal needed nothing more. The next day I enjoyed a light chicken salad for lunch. The only problem? No more leftovers. It was that good. The second recipe was just as flavorful. 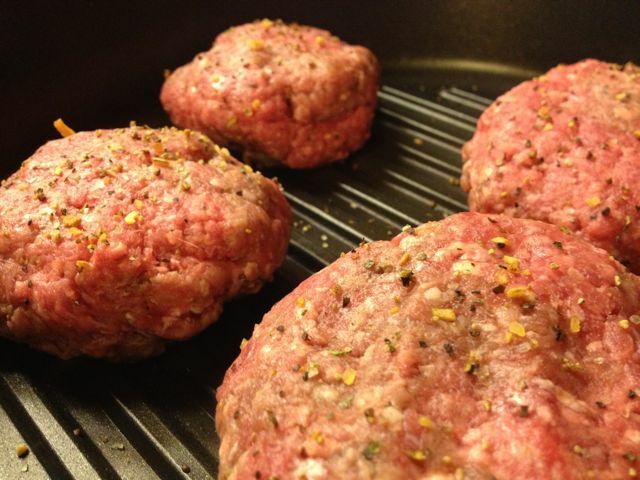 I added McCormick’s Worcestershire Pub Burger seasonings to the ground beef before shaping into burgers. I then dashed each side with more of the same then cooked the four patties on my indoor grill. You know how spices tend to dissipate a bit after the jar is opened? Yeah. That didn’t happen here. As soon as the burgers met the grill, my kitchen filled with the salivating aroma of Worcestershire sauce and grilling meat. I would have been happy to smell it all night long. But ~ bonus! ~ when the cooking was done, we actually got to eat these amazing treats! I’ve never been one to enjoy a steak sauce. I often find the tangy or bitter flavors overwhelm the taste of the burger. No so with the Smoky Montreal Steak Sauce. It was a delightful compliment to the burger adding, as its name suggests, a smokiness that completed the experience. But did these burgers need it? Heck, no. Both dinners were so hearty, so delicious. 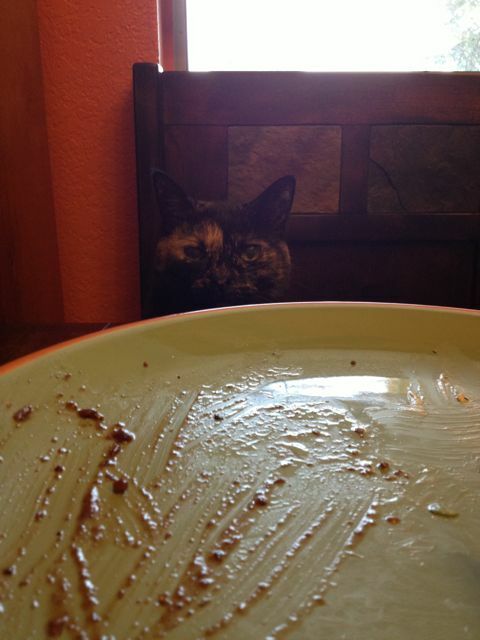 In just a few minutes each night I was able to have dinner on the table when Dot walked in the door. Even Berry joined us for some Quality Family Time… although the food was too good to give her a nibble. This weekend, I’m planning to mix up a meatloaf with the Backyard Brick Oven spices. The aroma from this jar definitely leans toward a hearty Italian pizzeria flavor. I’ll toss in a bit of onion and red peppers, a few diced tomatoes, then top with Mozzarella and Parmesan cheeses, and we’ll have a meaty pizza in a pan instead of on a crust. I’ll try to get a photo for you. Unless Berry beats me to it. Yum! Poor Berry Sunshine! (fun picture!!). 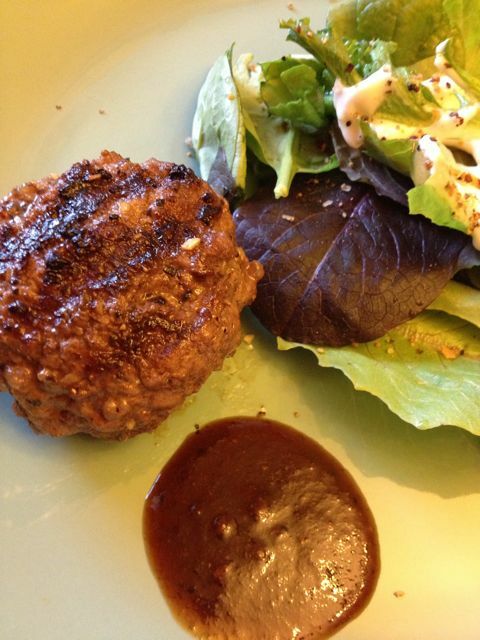 I use the Montreal seasoning (the dry one) and love that for burgers (Rachel Ray’s recipe actually calls for it…) I don’t see that on your table, but it is fabulous. I will look for the other ones, as they sound yummy. Hope Dot is enjoying her job!